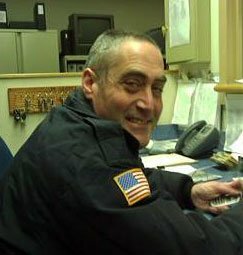 We are sad to announce that Retired Officer Joseph Griglio died on March 20, 2014 of East Rutherford, NJ, age 48. Joseph was born on January 3, 1966 in Jersey City, NJ. He was a retired Police Officer for the Palisade Interstate Parkway Police in Englewood Cliffs for about 15 years and was a proud member of the Volunteer Fire Fighters Ridgefield Co. #1 for about 30 years. Beloved son to Rose Marie (nee) Caruso Griglio and Samuel Griglio. Cherished brother to Christina Incontrera, Patrick Griglio, Samuel Griglio Jr. and James Griglio and his wife Julie. Loving uncle to Jillian Griglio, James Griglio Jr. and Michael Incontrera. Joseph is also survived by many loving friends. Funeral from the A.K. Macagna Funeral Home 495 Anderson Avenue Cliffside Park, NJ, on Monday, March 24, 2014 at 9:15 AM. thence to St. Matthew R.C. Church in Ridgefield, NJ, where a Funeral Mass will be offered at 10:15 AM. Holy Name Cemetery in Jersey City, NJ. to follow. The family will receive their friends Saturday 2-4 and 7-9 PM and Sunday 2-7 PM.